Jenny McCarthy Shares Horror Stories From Her Year On ‘The View’ — Look Away, Whoopi Goldberg & Barbara Walters! 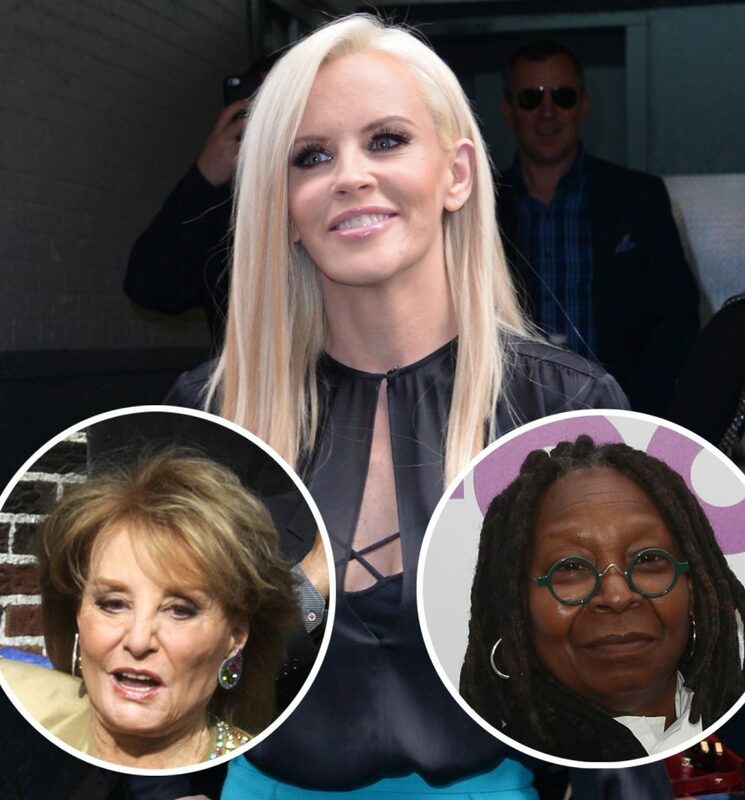 Home › Jenny McCarthy › Jenny McCarthy Shares Horror Stories From Her Year On ‘The View’ — Look Away, Whoopi Goldberg & Barbara Walters! Jenny McCarthy is telling all about her view from inside The View — and it ain’t pretty! The TV personality is featured in the upcoming book Ladies Who Punch: The Explosive Inside Story of ‘The View’, where she shares several horror stories from her time working on the ABC morning program. Video: Joy Behar & Meghan McCain Fight On The Air! McCarthy claims to have been picked on by Walters and Goldberg both on the panel and backstage — sometimes, over silly things like wardrobe jealousy and feminine hygiene products. That’s definitely no fun. But some of what the 46-year-old claimed went down backstage was much, much worse. Read the top 5 biggest takeaways from McCarthy’s chat (below)! The Two and a Half Men actress first clashed with Walters years before she joined the panel. The former model first appeared on The View in 2007 to promote her anti-vaccine book Louder Than Words, in which she claims her autistic son Evan‘s health improved through a gluten-free diet and behavioral therapy. So, what did Babz get so riled up about? Although the Illinois native says she was brought on the show to bring more pop culture commentary and shy away from politics, the mother-of-one claims she was shut down any time she tried to fulfill her pop-ligations. The strangest of McCarthy’s stories is probably the time when the journalist told the actress to “do something” about “a tampon floating in the toilet” that didn’t belong to either of them. No surprise she only lasted a season! We can’t wait for more tea to spill from other panelists when Ladies Who Punch hits shelves April 2.